DigiGenius gel documentation system is ideal if you have a limited budget. 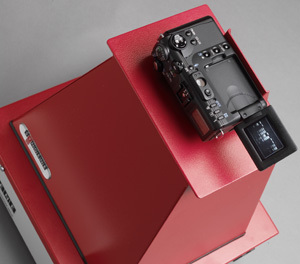 DigiGenius is ideal for standard bioimaging applications such as 1D gel imaging and DNA/RNA imaging. With a range of camera controls it is possible to enhance and capture relatively faint images of most fluorescent gels. 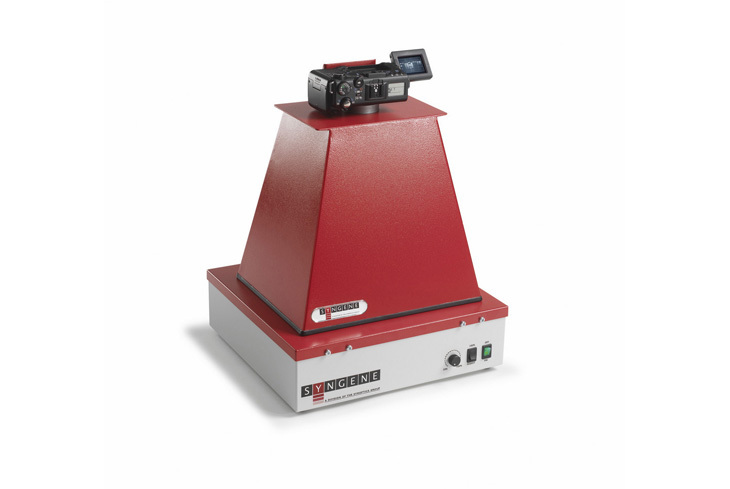 DigiGenius uses a quality digital camera and hood which sits over a UV transilluminator to capture high resolution gel images. The system is easy to use and images can be viewed directly on your PC or MAC. The DigiGenius is compact, economical and provides a worthy solution to the user looking just to capture basic images. The system comes complete with GeneTools analysis software. Economical When budget is limited and you need a way of capturing digital images of your gel then the DigiGenius is an excellent choice. The captured images are high resolution and can be easily stored or enhanced on any PC or MAC based system. The size of the system is such that it takes up minimal bench space and can easily be stored in a cupboard. DNA/fluorescent gel imaging Users have found the DigiGenius to be useful for these types of applications since the camera has a mega pixel resolution and therefore the images are suitable for looking at closely spaced bands. The camera is very sensitive enabling the capture of faint bands. Easy to use Using the system is as simple as using any digital camera. The camera is also one of the few of its type which can be connected to a computer so that the PC has control over the camera functions. Viewing screen The viewing screen of the camera can be positioned so that it can be seen at most angles.